When the Geneva Music Festival (GMF) returns in two weeks, acclaimed artists will present their interpretations of a wide range of musical genres, including chamber, classical, organ masterpieces, bluegrass, and a two-concert celebration of jazz. 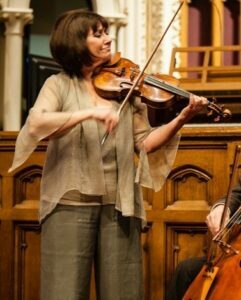 Founded in 2011 with the mission of entertaining, inspiring and nurturing a lifelong love of music in the community, the festival annually presents artists whose work will appeal to audiences of a variety of ages and musical tastes. The GMF will take place from June 1 through 18, with concerts in Geneva, Auburn, Canandaigua and Skaneateles. 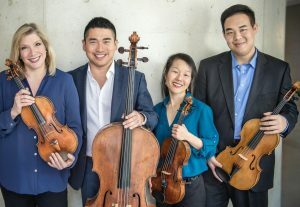 GMF veteran and acclaimed violist Eric Wong will introduce audiences to the Cavani String Quartet, which he joined last year. The Quartet-in-Residence at the Cleveland Institute of Music, it has been described by the Washington Post as “completely engrossing, powerful and elegant.” Their impressive 30-year career has garnered many significant awards and honors and they have commissioned, premiered and performed the music of more than 30 living composers. Mid-festival features this year’s celebration of jazz, starting with world-jazz trio La Voz De Tres. Chilean vocalist Natalia Bernal, keyboardist Mike Eckroth, and seven-string guitarist Jason Ennis blend the infectious rhythms and nuanced songwriting traditions of Latin America, original compositions and picks from the great American songbook into a surprising improvisational texture. They’ll present interpretations of the music from their recent album “Sueños y Delirios” (Dreams and Deliria). Then, the Thomas Bergeron Quartet will bring love and romance to the Festival with a jazz-chamber fusion from Bergeron’s latest album. The concert will include new jazz interpretations of the music of Rachmaninoff, Liszt, Takemitsu and Scriabin, in addition to some original compositions and jazz standards. The Thomas Bergeron Quartet will be joined by a string quartet of GMF artists-in-residence, creating an octet of trumpet, oboe/clarinet, guitar, two violins, viola, cello and bass. Multi-instrumentalist Paul McCandless will be a special guest for each of the jazz concerts. 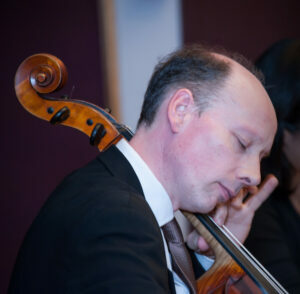 For the chamber music finale, cellist Clive Greensmith and violinist Ani Kavafian return to perform some of the most exciting works of chamber music with GMF founding artists Herd, Hannah Collins and Eliot Heaton. Concerts in Skaneateles and Geneva will feature audience favorites including Dvorak’s Piano Quintet and Shostakovich’s Octet. A special, free Father’s Day concert will see bluegrass return to Ravines Winery with violinist Heaton joining local artists for high-octane fiddling and bluegrass. A Father’s Day BBQ with all the trimmings will be available for purchase at the Ravinous Kitchen from noon to 5 p.m.
Just prior to the start of the 2017 Season, GMF artists Herd, Wong, Heaton and cellist Max Geissler will return to the region to work with local school children. The festival has conducted community outreach in local schools since its inception. Among the activities planned for this year are performances by GMF artists for two student orchestras at Auburn High School, and a master class at St. Peter’s Community Arts Academy, Geneva, in which three violin students will perform for the GMF musicians and receive public coaching/instruction. Tickets for adult admission to each concert and an after-concert reception are $25 (ages 18 and under are free). Six-concert passes and season tickets are only available until the first concert, in Geneva on June 1, and may be purchased online prior to or in person at that concert. All venues are wheelchair accessible and air conditioned. A full schedule including concert details and locations, artist biographies and tickets are available online, www.genevamusicfestival.com.